The career path followed by Eng.Gunasekera amply demonstrates a wide experience and an extremely progressive upward movement in the profession. 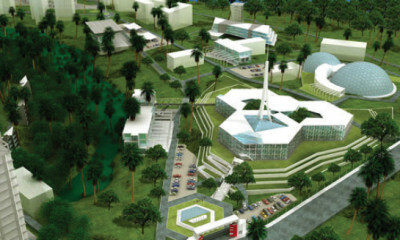 After Graduating with honours from the University of Ceylon in BSc (Eng) Civil Engineering in 1975, Eng. Gunasekera joined Walker & Greig Limited as an Assistant Construction Engineer and was involved the Padukka Satellite Station and the Marine Drive Sewer Project in Maldives and many others. Eng.Gunasekera joined the Sri Lanka Air Force December 1978 as the Officer in charge of the Work Services Unit with the rank of Flight Lieutenant and was in charge of all maintenance work of the Katunayake Air Base, as a Volunteer Officer attached to the Directorate of Civil Engineering Air Fields Construction Regiment .He was accorded the rank of Group Captain, being the first professionally qualified Volunteer Officer to be so honoured in the Air Force. He also was the recipient of a special memento in1999 from the Commander of the Air Force for services rendered. In 1980 Eng.Gunasekera accepted employment overseas in Saudi Arabia as a Civil Engineer where within 6 months he was promoted to Lead Engineer of the Support and Secondary Industry Parks Management of Jubail Industrial City ;one of the largest such projects not only in Saudi Arabia, but in the whole world. 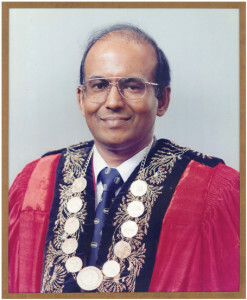 On returning to Sri Lanka he served as the Deputy Director of ICTAD from 1986 to 1989. In 1989, he joined UTE Projects (Pvt) Ltd as its General Manager until 1991. It is to be noted that he brought UTE Projects (Pvt) Ltd from M4 grade to M1 within this period. In 1991 Eng.Gunasekera commenced his Entrepreneurial activities as the Managing Director of his own Project Management Company; most probably the first dedicated Professional Project Management Company in Sri Lanka.